Harry S. Truman, 1884–1972. 33rd President of the United States, 1945–1953. Scarce black-and-white group photograph signed by Truman, Harry S. Truman, three Choctaw and Chicasaw tribal chiefs, and other Native American leaders. 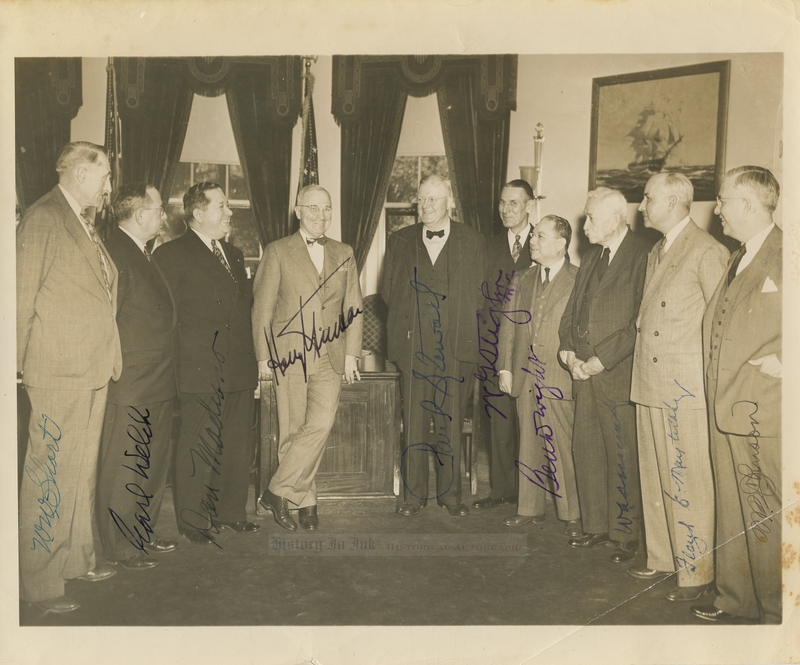 This scarce photo, which had never been offered on the autograph market until we acquired it, bears bears the signatures of a number of prominent Oklahoma Native American leaders and documents their visit with President Truman in the Oval Office on April 2, 1946. The photograph includes both William A. Durant, the Principal Chief of the Choctaw Nation, and Floyd E. Maytubby, the Governor of the Chickasaw Nation. Oklahoma Congressman William G. Stigler, who was himself of one-quarter Choctaw descent, arranged the meeting with the President when the Native American leaders were in Washington, D.C. Stigler represented Oklahomaʼs Second District, which contained most of the Choctaws and many Chickasaws. The Chickasaw and Choctaw leaders were likely in Washington to negotiate a contract with the federal government for the sale of Chickasaw and Choctaw mineral land containing coal and asphalt. In 1944, long after a 1930 bill and its 1934 amendment that authorized the Secretary of the Interior to sell the land, Congress finally passed legislation to authorize the Secretary to negotiate with the tribal leaders to buy the land for the United States itself. Act of June 28, 1944, 58 Stat. 483 (1944). The land contained 770 million tons of readily available coal, another 1 billion tons of reserve coal, and asphalt, and it was known that oil had been struck only a few miles away. Members of the Choctaw and Chickasaw tribes almost unanimously favored selling the land, and a number of the leaders shown in this photograph, including Durant and Maytubby, had testified in support of passage of the enabling act before a Senate committee in 1943. Hearing on S. 314 Before the Committee on Indian Affairs of the United States Senate, 78th Cong., 1st Sess. (1943). This Oval Office meeting also gave the leaders an opportunity to lobby President Truman for Durantʼs reappointment by the Secretary of the Interior as the Choctaws' principal chief. By 1946, a grass-roots sovereignty movement was afoot among the Choctaws. Many Choctaws wanted tribal elections and the restoration of tribal government, which the United States government controlled. Durant, however, was unsympathetic, as was Maytubby. Indeed, in his 1943 testimony, Durant firmly opposed self-determination for the Choctaws, saying that it would be difficult to implement election procedures and worrying that there were “a lot of people down there, white people, that have been seeking to get on these rolls. Probably that kind of people would be on our backs, worrying the life out of us to give them a chance to vote." Thus, although Maytubby, a loyal Democrat, had strong support among Oklahomaʼs Democratic congressional delegation, the aging Durant—who turned 80 in 1946—was more vulnerable. Already in 1944 some confederation members had written to Oklahoma's congressional delegation, mostly to Stigler, to request that Durant not be reappointed. By 1946, when Durant was up for another term, groups of Choctaws organized again to protest his reappointment, instead endorsing Harry J. W. “Jimmy" Belvin, the leader of the Choctaw grass-roots sovereignty movement. But Durant had important support. Ben H. Dwight, the Choctaw Nation's attorney, former chief, and an aide to Oklahoma Governor Robert Kerr, argued that Myrtle Creason, the chair of the Choctaws of Oklahoma County who had forwarded to the congressional delegation endorsements of Belvin from Choctaws assembled at Hugo and Oklahoma City, was engineering Belvinʼs campaign and greatly exaggerating the claims that Choctaws overwhelmingly supported him. More importantly, Congressman Stigler firmly supported Durant and advised him to mobilize support to counter petitions for Belvin with petitions of his own. As a result, Durant's supporters, calling themselves the “Choctaw Advisory Council,” sent the Secretary of the Interior and the Oklahoma congressional delegation a resolution supporting Durant. Stigler repeatedly contacted Interior officials to urge that Durant be reappointed and argued against a popular election, which he said was impractical and would “engender bigger feelings among the various factions and groups representing the applicants." In the end, Durant prevailed. Stigler wrote him on July 17, 1946, to say that although there was considerable sentiment in the Department of the Interior to hold an election for chief, the department had told him that there would be no election in 1946 and that “you will be appointed for another two-year term. I rejoice with you in being reappointed." In 1947, the Department of the Interior finally agreed to buy the mineral land for $8.5 million. Durant, however, was not present for the negotiations. Belvin criticized him for being absent from “the most momentous meeting affecting the tribe's welfare since the Atoka Agreement of 1897" and criticized Maytubby and Dwight for negotiating too cheap a price. But the sale resulted in payments of $350 to each individual Choctaw and Chickasaw tribal member (a little more than $3,700 today), and the two nations overwhelmingly ratified the agreement by a vote of 6,100 to 400. Congress ratified the agreement on June 24, 1948. Act of June 24, 1948, 62 Stat. 596 (1948). By 1948, too, Congress granted the Choctaw Nation the right to vote for a chief—who then would be appointed by the Secretary of the Interior—and Belvin was elected. Rather than continue to criticize the agreement, though, Belvin led the effort to secure the $8.5 million congressional appropriation to fund the payments. ● William A. Durant (1866–1948). Durant, a lawyer, was the Principal Chief of the Choctaw Nation from 1937 to 1948. He was speaker of the Choctaw House of Representatives in the days before Oklahoma statehood and then served three terms as an Oklahoma state representative, the last as speaker of the Oklahoma House of Representatives. Overall he spent 22 years in state government service the Oklahoma capital. He has signed this photograph, W. A. Durant, in blue fountain pen. ● Floyd E. Maytubby (1893–1963). Maytubby, one-eighth Chickasaw by blood, was the governor of the Chickasaw Nation. He was an enrolled member of the Five Civilized Tribes (Cherokee, Chickasaw, Choctaw, Creek, and Seminole). Maytubby was appointed governor in 1939 and served until 1963. He has signed, Floyd E. Maytubby, in blue fountain pen. ● Ben H. Dwight (1890–1953). Also a lawyer, Dwight served as chief of the Choctaw Nation from 1929 to 1936. As chief, his principal concerns were to protect the property rights of his people and to ensure that Congressional policies would alleviate the social welfare problem of the Choctaws. Dwight later became the national attorney for the Choctaw Nation, the position that he held when this photograph was taken. Dwight has signed this photo, Ben Dwight, in purple fountain pen. ● William Walter Short (1887–1961). Short was 1/32 Chickasaw by blood. He was president of the Choctaw and Chickasaw Confederation, which comprised some 13,000 members of the two tribes. He was a charter member of the National Congress of American Indians, which was founded in 1944 in response to termination and assimilation policies that the federal government forced upon the tribal governments in contradiction to their treaty rights and their status as sovereign entities. He later served as president of the National Congress.  He has signed, W. W. Short, in blue fountain pen. ● Samuel Earl Welch (1892–1969). Welch, a justice of the Oklahoma Supreme Court, was a member of the Chickasaw Advisory Council. As a lawyer, he represented the Chickasaw nation in the 1947 in negotiations to sell the mineral land to the federal government. Welch has boldly signed this photograph, Earl Welch, in blue-black fountain pen. ● Napoleon Bonaparte Johnson (1891–1974). Johnson, a Cherokee, was the first president of the National Congress of American Indians. He was born in Claremore, Oklahoma, and was a boyhood friend of renowned humorist Will Rogers. He was a lawyer, a graduate of Cumberland University law school, and one of the most renowned Native American lawyers in the United States. As president of the National Congress of American Indians, he sought to end the romantic stereotypes of Native Americans, to liquidate the federal Bureau of Indian Affairs, and to establish joint federal-state programs to help Native Americans manage their own affairs. He served as a trial court judge before serving some 16 years on the Oklahoma Supreme Court. He was once named the outstanding American Indian. He has signed this photo, N. B. Johnson, in black fountain pen. ● Daniel M. Pardier Madrano (1898–1966). Madrano, an Oklahoma state representative, was the Executive Secretary of the National Congress of American Indians. He has signed, Dan Madrano, in black fountain pen. ● William G. Stigler (1891–1952). As noted, Stigler was the congressman from Oklahomaʼs Second District. He served eight years in the Oklahoma Senate and 13 years as a lieutenant colonel in the Oklahoma National Guard, 45th Division. A Choctaw, he also served as the national attorney for the Choctaw Nation. Stigler has signed the photograph, W. G. Stigler, M. C., in purple fountain pen. The photograph also bears the signature of Oklahoma's Third District Congressman Paul Stewart (1892–1950), who grew up in Choctaw territory and whose father was a missionary to the Choctaws. Because of the important subject matter and because of the provenance of this photograph, we believe that Stewartʼs signature is genuine. Nevertheless, because of slight shakiness and ink pooling in parts of the signature and light parallel scratch lines in the surface of the photo above and below Stewartʼs signature, we cannot say that the signature was not applied with an early version of the Autopen, and consequently we do not say that this signature is, in fact, genuine. In this photo, a smiling Truman wears a bow tie and—unusually for him—a single-breasted suit with a vest. The congressmen and Native American leaders surround him on his left and right. 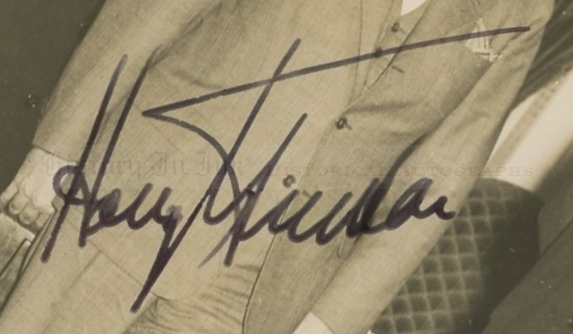 Each man has signed across his image, Truman with a black fountain pen signature at an angle, and the others vertically. The photograph has staining at the lower right, a bend and archivally repaired break across the lower right corner, and the light scratches around Congressman Stewartʼs signature noted above. The ink adhered well to the photo on Truman's signature but beaded a little on some of the other signatures, notably those of Dwight and Maytubby, because of the glossy surface of the photograph. There is slight brushing to Stigler's signature. Overall the photograph is in fine condition. This photograph has excellent provenance. We acquired it from the family of Ben H. Dwight.